RESCUE: Pray for those who still need to be rescued. Some are buried and others are near death due to major injury, lack of food, water, medical care. RELIEF-WORKERS: Pray for those from all around the world who have gone to Haiti to help in the rescue and recovery efforts. Safety, wisdom, energy. HAITIAN CHURCH: Pray for the church in Haiti, our brothers and sisters in Christ, and their role in rebuilding their country. PROTECTION: Pray for God’s protection in the days to come as looting and violence becomes common due to the circumstances. 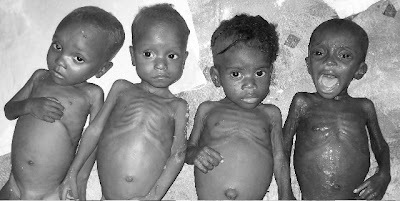 ORPHANS: Pray for all the children that just lost one or both parents. Pray for the orphanages. Many of their buildings are devastated and they lack essential resources. This broke my heart from the Livesay Haiti blog. (These four boys are all living in the RHFH Rescue Center, receiving Medika Mamba, and trying to gain weight and recover). 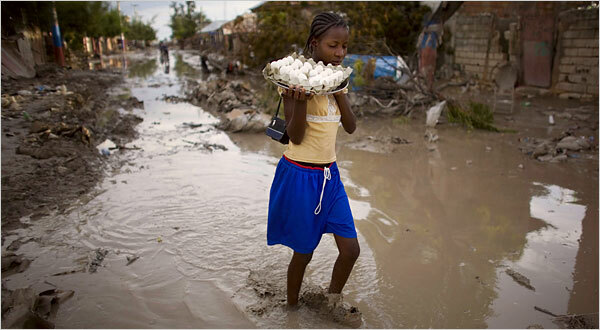 HAITI URGENTLY NEEDS OUR HELP! On my way to Panera this afternoon I listened to a reporter in Haiti describe the devastation that the hurricanes have caused. The death toll is climbing and many of those are young children who were swept away along with their homes from the flooding. Right now I am thinking and praying for the many families that are adopting children from Haiti. Many of these families have just returned from seeing their children this past summer and I know of a few who are hoping to travel in the next few months. Join me in praying for them! Most of all, pray for the country, the people, the children, the orphans, and the church in Haiti. Pray for God’s mercy! You can read the latest from the New York Times on the situation in Haiti here. Steven Bush also shares some ways to help through the ministry Real Hope for Haiti. John Piper and Doug Nichols comment on the issue of child slavery in Haiti. Read here.